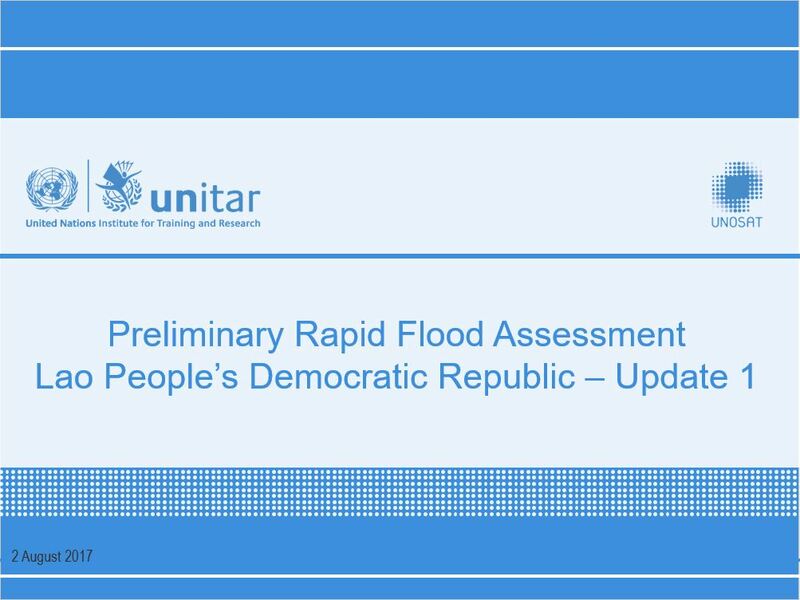 The purpose of this flood rapid assessment is to give a quick overview of the magnitude and severity of the event. As a general trend, the waters in all the analyzed districts seem to remain the same or even reced, except for the Sukhuma district where flooded agricultural areas have increased on the southeastern part of the district as of 30 July 2017. Although wet saturated soils and standing waters have been reducing in extension, they are still visible in all the analysed districts as of 30 July 2017. Some exceptions are observed in the Sekong province, as to know the waters of the Kaleum, Thateng, Lamarm & Dakcheung districts have almost completely receded .